Have you been thinking of changing your food timetable? You should give me a huge thank you because I am about to help you with some amazing recipes for red beans and rice, we talking real traditional New Orlands food here so you should understand why the thanks are necessary. First of all, I know it looks like so much work asking you to make some red rice and beans yourself, that is for those who are used to eating it. There are always readily available cans of this stuff that you could easily pick up from the grocery store, heat up, and eat but has it ever occurred to you that if whatever you buy in those cans taste so nice that you go back to buy some more, your home made one would taste nicer? Not to think of how happy your family would be to have a homemade feel of what some red rice and beans would taste like. So don’t be lazy, let’s cook some red rice and beans right away. 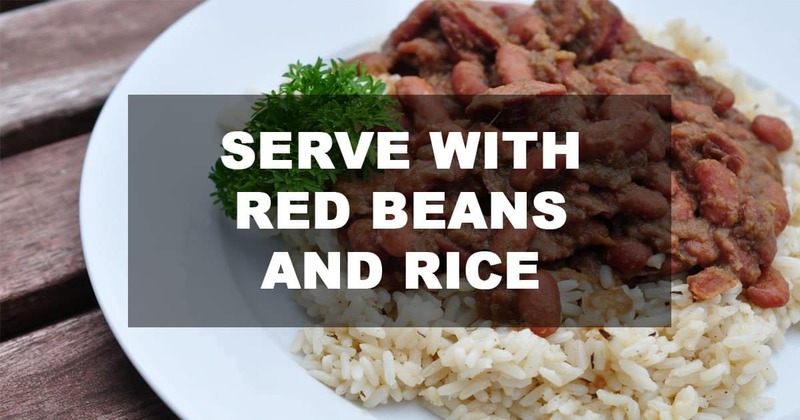 For a real feel of what it’s like in new Oreland’s with all the Cajun that makes classic red rice and beans so special, try out this recipe by Grandbaby Cakes. The beauty about the whole time spent in cooking this dish is how the beans tend to break down gradually with some parts of it forming a paste which forms the basis of the dish. If you haven’t had this kind of cooked red rice and beans before I compel you to use this recipe for first time try outs, it is like nothing you have tasted before and the likelihood of this becoming a weekly staple in your home is quite high. The “trinity” of red rice and beans- onions, pepper, and celery, were not left out, and with that in the dish, every other thing falls into place. This recipe by Teaspoon Of Spice is another unique way of making your red rice and beans, but it has some substitutions which I feel will suit certain types of crowd than what the first recipe offers. For example, the use of canned beans rather than fresh kidney beans, using canned beans will not give you the same results as using the fresh ones, but it does help you cut low on the entire cooking time spent. Also, the rice and beans are a lot chunkier than what you get in the first recipe; this is a result of the cooking time and the kind of ingredients. The reduction on the Cajun sauce helps with salt control which is prominent in most red rice and beans dishes. Generally, this recipe is healthier and still as good. You didn’t think I will skip a recipe for vegans did you? Of course, I wouldn’t, not for a dish like red rice and beans that is so delicious. 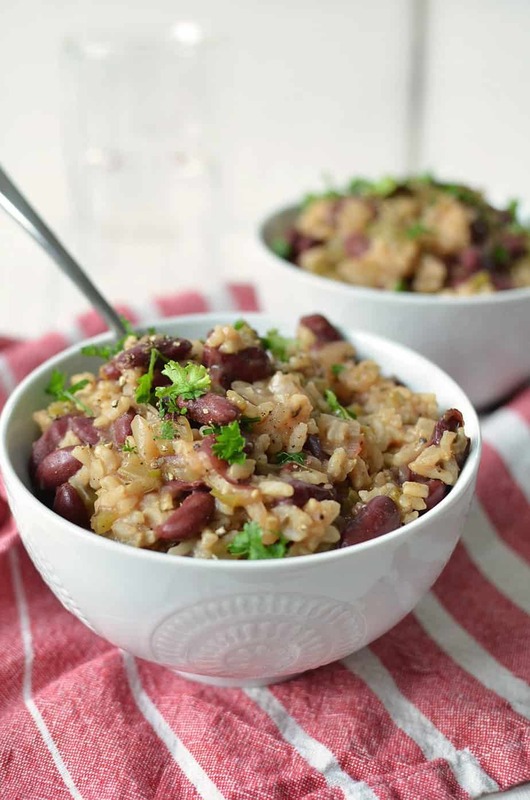 For an easy vegan recipe for your red rice and beans try this by Delish Knowledge. There are different things which make this dish worth cooking even if it a vegan dish, first of all, it is made using a slow cooker! Yes a whole few hours more than necessary with all pleasure, this is particularly good news for those who would be making use of fresh beans rather than the canned ones for their food. 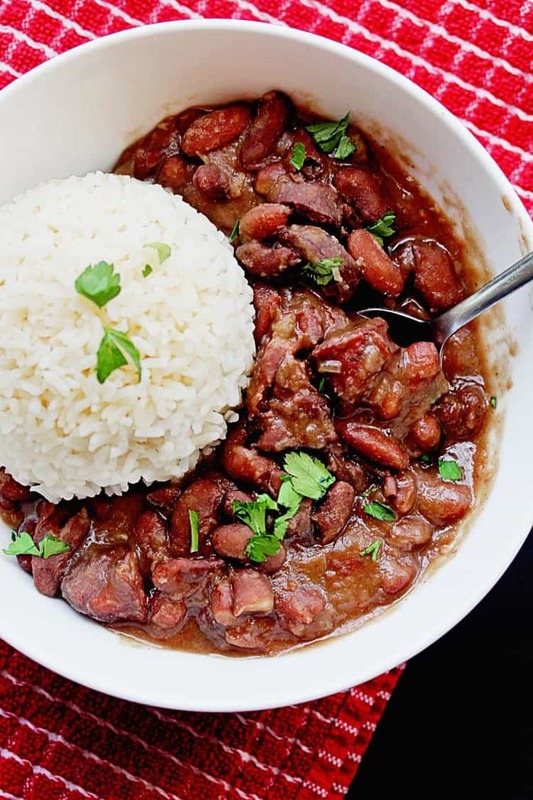 Also, the rice and beans are cooked together; the rice is added to the broth at some point to cook along and soak up the flavours with the beans and other ingredients, this is a nice twist to red beans and rice. One of the best side dishes you can have with red rice and beans is cornbread, and I will recommend having it simple and easy to make with your dish, this provides the perfect accompaniment and in no way overshadows the rice and beans but allows you soak up all the pasty sauce as you eat. 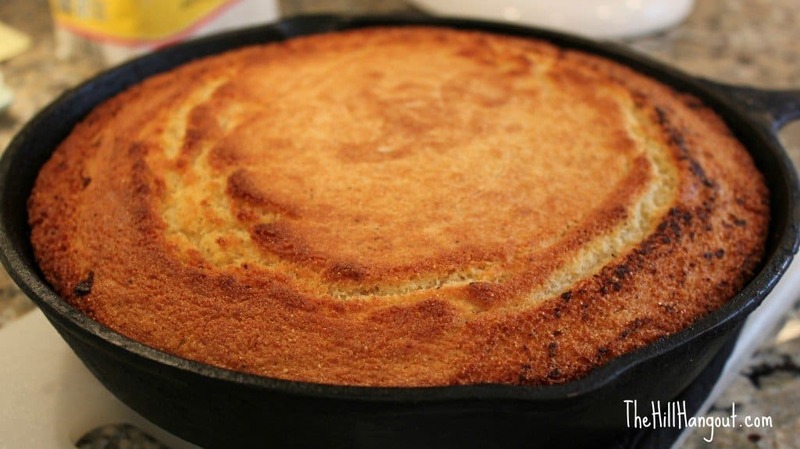 To make a very simple Southern style cornbread with your cast iron skillet, here is a recipe by The Hill Hangout. As we all know, cornbread itself is a dish that has a lot of recipes so I am in no way disputing your choice of recipe, if you have one in mind that is equally as good then be my guest but if you don’t, share in with the recipe and keep it simple on the side. 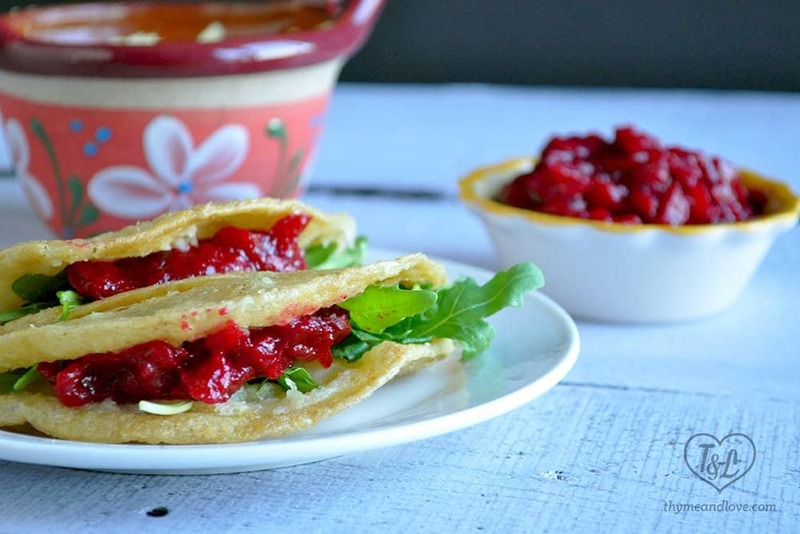 Play with your taste buds a little with some tacos dorados de papa beside your red rice and beans, that’s just having potato tacos, but I will much rather use that complicated name, it makes you want to taste it. This side dish by Thyme And Love is a little heavier than having cornbread with your red rice and beans because you aren’t just having tacos, you also have mashed potatoes. Just put a piece or two of the prepared tortillas beside your food, and that’s it, food is ready! I Hope with ALL that we have talked about; you finally understand why you should thank me, if for nothing at all, you now have some nice recipes for red rice and beans both vegan and non vegan choices which you can impute into your Monday evening plan. Please don’t ask me why it has to be Monday evening because I am not sure I have a pretty conniving answer for you, all I know is that red rice and beans is a Monday staple in new Orland’s and has become same in other parts of the world as well so you can join in if you care to. Did you grow up eating red rice and beans from childhood or are you new to the experience? Let’s talk guys while we cook; it’s fun!